Our StoryBook Halloween Dance Bash is on October 19th! 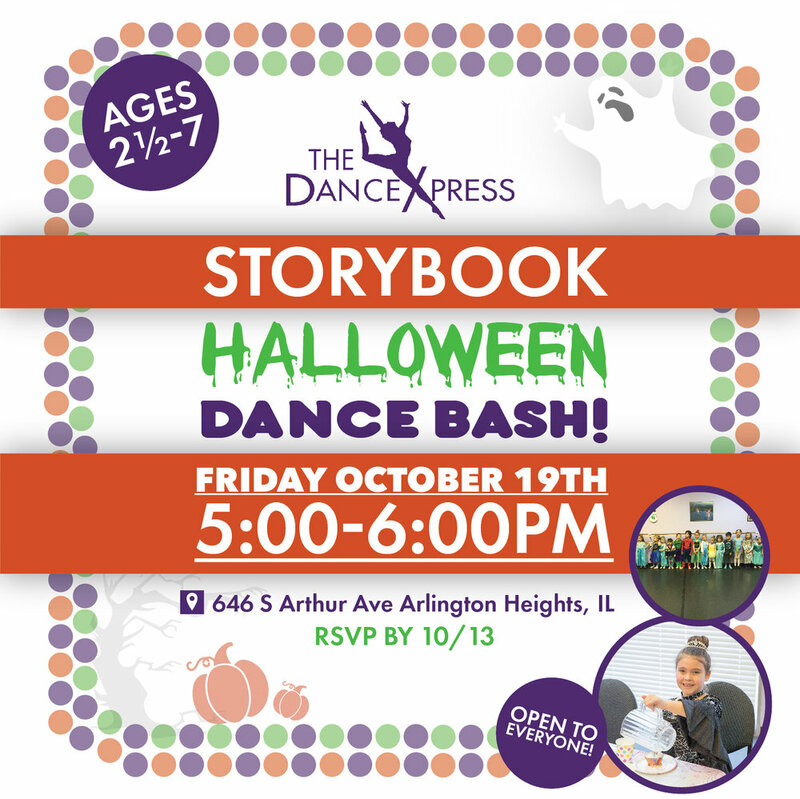 We’re having a Halloween Storybook Dance Bash October 19th from 5-6! For ages 2 1/2-7 our Storybook Halloween Dance Bash features interactive storytelling & dress up. Once we’re done dancing we’ll be trick or treating around the studio. You don't have to be signed up for classes to come and enjoy! The 2018-19 Dance Season Begins September 10th!